Losing weight is a battle that many are busy fighting today! People are ready to try everything to lose a few kilos. But have you thought of using barley water to lose weight? Well, maybe you should! Barley is a fiber rich grain that is grown in the Middle East. It is baked as breads or served as a rice substitute. It falls under the same category as whole wheat, oats and whole grains when it comes to weight loss. It is clear that apart from a great weight loss ingredient, barley is also beneficial for your body. Barley water also helps in reducing cholesterol level in the body. It contains beta glucan, which is a cholesterol fighting soluble fiber. Some varieties of barley that are being cultivated these days, such as the waxy, hull-less barley, is high in beta glucan. The soluble pectin in barley also helps in fighting cholesterol. How Does Barley Help In Weight Loss? Barley water made from a cup of raw barley (serving size of 200 grams) contains 704 calories, which has to be burned by about 200 minutes of brisk walking. While that seems a little off-putting to weight watchers, of the 704 calories, only 19 comes from fat. More than half of the calorie content is contributed by complex carbohydrates. This portion of barley also contains 20 grams of protein but only 2 grams of sugar. Thus, it is inevitable that barley water is an effective weight loss recipe. As barley contains a lot of fiber, it helps you feel full for a longer period of time. So, you do not get cravings for snacks very often. Snacks often contain high calories. Be it a small pack of crisps or a bowl of sugar coated nuts, whatever processed food you eat, is bound to fill you up with extra calories. If you have barley water instead of these snacks, you will feel fuller and healthier. Apart from that, the high fiber content of barley makes sure that you get proper bowel movement. It cleanses your digestive system and purifies you from the inside. Boil 1 kg of barley pearls until they turn soft (add 3 volumes of water to one volume of barley). Strain and collect the extract. If you do not like the taste, you can add a dash of orange or lemon juice or vanilla extract. You can add 2 teaspoons of brown sugar to sweeten it. If you store it in the refrigerator, barley water can last for a longer period of time. In fact, the dry barley pods can be stored up to a year. When barley pearls are cooked, they soak up the water and become soft and larger in size. This works for thickening soups (in fact used traditionally in Scotch broth soup), stews and gravies. Remember that the flavorings are optional and can be added based on your preferences. Let’s learn the method to prepare barley water. Boil around 1.5 liters of water along with about a handful of barley. Let the pot be on simmer for at least 30 minutes. The amount of barley can be altered based on the kind of barley taste you prefer. More implies more barley grains and less implies less barley grains. Straining this concoction is preferable if you want to refrigerate it and use it for longer periods of time. Yet, it is advised to consume the fresh barley water as and when required. 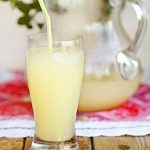 This was the simplest barley water recipe for weight loss. Now, let us see how to make it tastier! 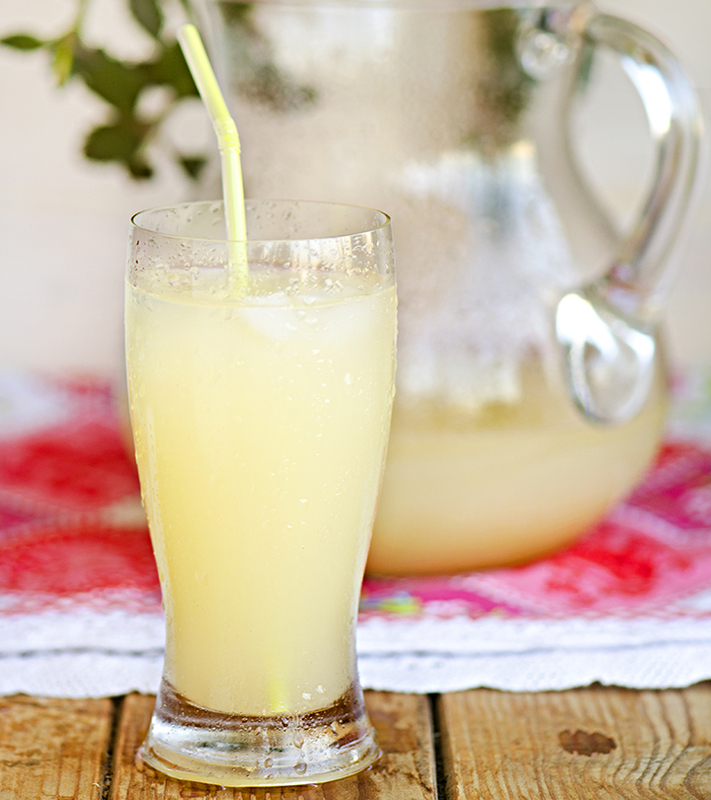 Adding flavors is a sure shot way to make the barley water tastier. Take water in a pot and add barley and a clove of garlic, a cinnamon stick and chopped root ginger into it and boil them. Add enough water so that after simmering, 1/3 of the water must be left on the pot. Drink it hot or cold, the way you like it. Remember not to add lemon or honey while boiling as they bring out a bitter taste. You can add them later after the water cools down. You can use mint leaves, orange, lime juice or even other herb extracts for flavor. These are the easiest ways of preparing barley water. Now, how would you like to use the leftover barley? You can use it to thicken your soups and stews. You can also add it to your salads. You can add it in the blender with your favorite smoothies for added nutrition. You can make muesli by adding some chopped vegetables, nuts or dry fruits, depending on how you want the flavors to be. To reap the benefits of barley water, drink around 3 glasses of barley water a day. It not only aids in weight loss, but also cools down the body. It cleanses the kidneys and keeps them functioning smoothly. It quenches thirst, and helps us achieve the recommended daily water intake. You can drink barley water at any time. Apart from that, barley itself is a great substitute for rice as it is more flavorful than white rice. It also contains lots of fiber. Barley can also make a good side dish or salad accompaniment. Considered as a weight loss super food, barley can be used as a morning cereal with milk or fruit juices. Whether you use barley as it is, or use barley water, one thing is for sure. It will help you lose weight! So, add another weapon to your arsenal and keep up the good fight against obesity! Did you know about the weight loss potential of barley water? Share with us in the comments section below.